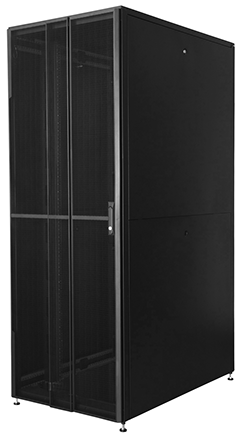 The Arion Solis 600 Series is designed for the small business environment and low density server installations, it is a cost effective solution providing most features found in premium racks, without compromising on quality. A load capacity of 800 kg is more than enough to support the mixed equipment installations common to most IT rooms. Our user friendly design will accept standard 19” equipment from any vendor and provide the perfect solution to organizing for your IT equipment. Arion Solis 800 series is designed for both large and small networking deployments. Primarily for networking and structured cable installations, Solis is also ideally suited for mixed IT environments using networking, server, storage and other IT gear. “U” numbers printed on 19” rails. Quick assembly time, approximately 20 minutes.